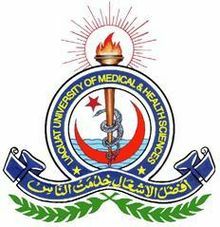 University of Management and Technology admissions 2019 will open soon and candidates will be able to apply for admission in that course in which they want to get admission. Getting admission in this institute is not much difficult although you have to get almost 50 percent marks in previous course or it can happen that you have to attempt an entry test to get admission. Entry test will be at University level and will not much difficult. Anyhow it is fantastic thing that is you can apply for admission online free from their official site or also from this site. University of Management and Technology is one of the moist famous private institute which is located in Lahore. It has several sub campuses and institute around the Pakistan. Their aim is to turn education system into new level of technology. Almost fifteen thousand students are currently getting education in this institute. One lack thirty thousand books are available in library from where students can get much knowledge. There are almost 125 courses are awarded to students by this institute. Anyhow if you are going to get admission in this institute then be patience and just get admission. 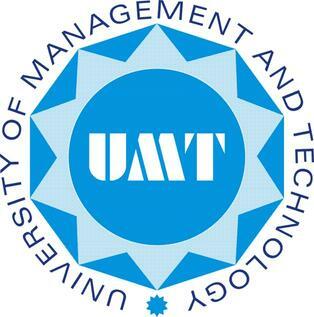 Fee structure of University of Management and Technology has been designed. Candidates can check any program fee structure from this site. Here is but changes in fee structure but there is no any big difference in fee. Candidates who will have any problem with fee structure, they can concern with management of this institute to get scholarship. Before ending this article let’s know another news that is this institute saves almost 2.5 billion for scholarships so now if you are needy person then you can get scholarship to continue your study. Address : University of Management and Technology C-II, Johar Town, Lahore.